Our mission at Crager Tobin Real Estate is to help you achieve your buying and selling goals. When selling your home, it is important that buyers have the ability to envision themselves in the space. One of the best ways to help with this is by staging your home. Seasonal decorations can give your home an elegant feel and help entice buyers. 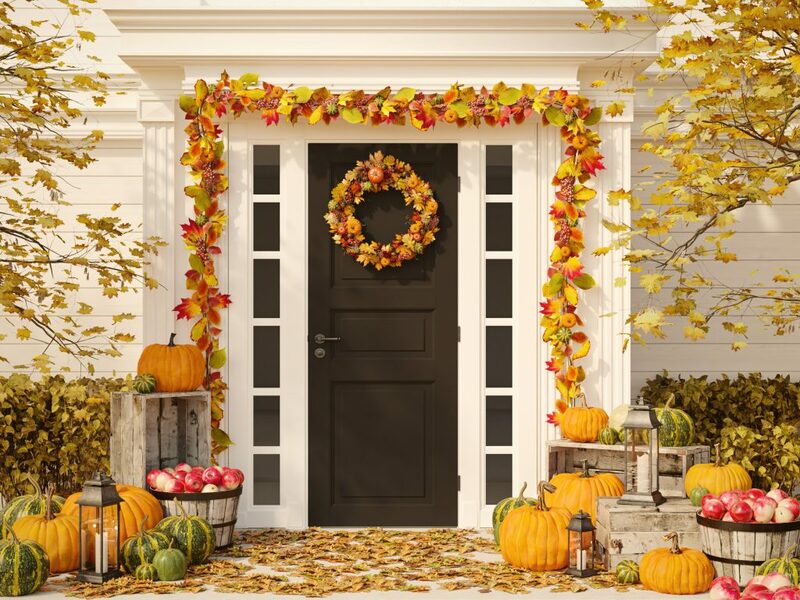 Here are some of our favorite tips for staging your home for the upcoming fall season. Potential buyers want to feel as comfortable as possible as soon as they walk through the door. Adding layers of blankets to your furniture, as well as plush toss pillows will give your home an instant comfy and cozy atmosphere. If you have a fireplace, stack wood next to it to give the appearance that the space is used often. Place unlit pillar candles throughout your home in fall colors. On the coffee table, add plates of fresh baked cookies and cider doughnuts to add the “scent” of home and comfort. Because the autumn days are growing shorter and potential buyers could be visiting your home later in the day, it is important to account for lighting. Add extra lamps with warm light bulbs around your home. Not only will this help alter Seasonal Affective Disorder, but it will brighten the moods of potential buyers. Light up every shadowy corner of your home no matter what time of day it is to ensure every part of your home is putting its best “foot” forward. The main floor of the house isn’t the only selling point. Make the bedrooms just as cozy for autumn by updating the quilts, putting extra throw pillows on the beds, and adding dust ruffles. Bedrooms are often overlooked when it comes to seasonal decor. When potential buyers come into the room, the first thing they see is the bed, so make it the focal point by choosing Fall colors and placing an autumn-themed floral arrangement on the bedside table. When it comes to inviting seasonal decorations, details are key. Create a centerpiece for your dining table using pinecones, acorns, and cinnamon sticks in a large rustic bowl is a nice touch. Adding a pinecone wreath to the exterior doorways, as well as making sure the yard is free of debris is also an essential step toward contributing to your curb appeal. The more creative you can be, the better your overall space will look and feel. If you have children, tame the school work and other things that tend to make entryways chaotic by making a “school zone.” Get some cubbies, baskets, wall organizers, a corkboard, and a dry erase board so you can create a command center. School papers, supplies, schedules, and everything else school-related can all be organized in this area. This will keep the clutter to a minimum without taking away from the decorative ambiance of your space. These tips should give you a leg up when it comes to staging your home for fall. If you have any questions or would like help with buying or selling a home, give us a call at Crager Tobin Real Estate today!